Most people associate classically trained dancers with ballet. Vanessa Sanchez’s new production “Pachuquismo,” which opens Sept.15 at Dance Mission Theater, aims to challenge those preconceptions. 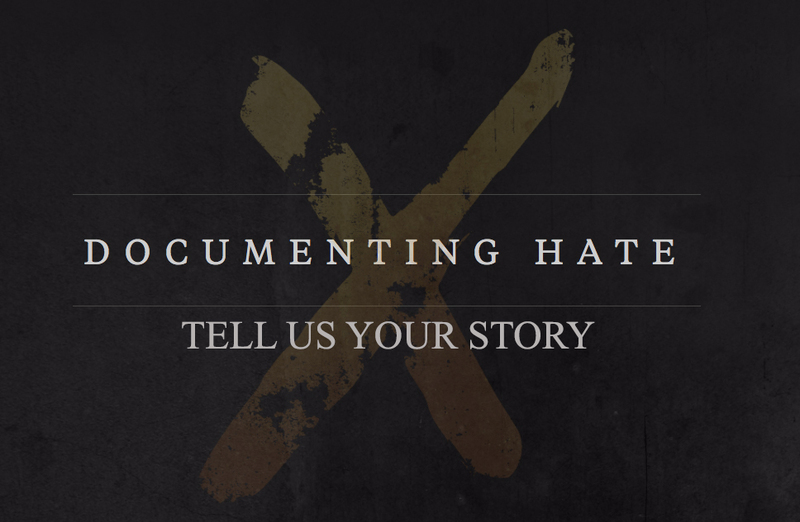 Directed produced and choreographed by Sanchez, “Pachuquismo,” features “an all female tap and Son Jarocho [the regional folk music of Veracruz, Mexico] performance of Chicanx culture, Pachucas, and the Zoot Suit Riots,” according to the show’s flier. 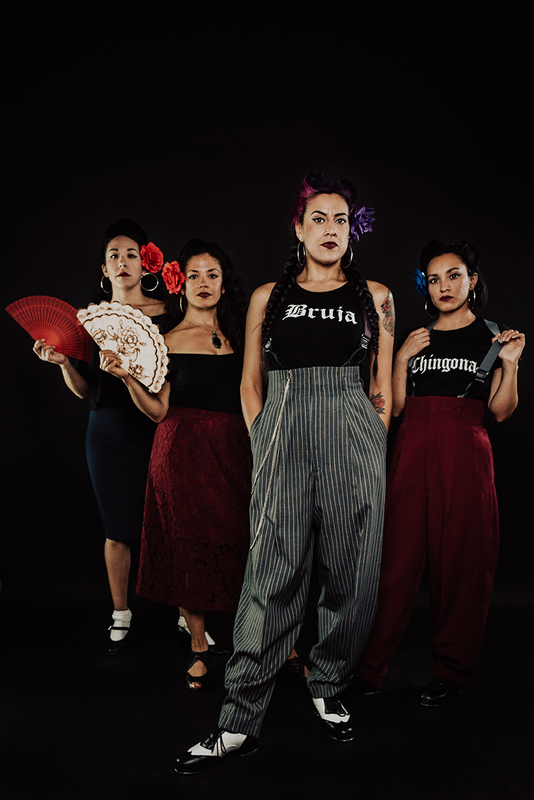 The audience will be told a story they’ve most likely never heard: the story of Los Angeles’ Zoot Suit Riots, but told through the female perspective. Through extensive research and numerous trips to Los Angeles’ local libraries, Sanchez has done her best to craft a narrative, told by women through dance, of the turbulent time in Chicano history of Los Angeles. In Sanchez’ performance, you’re more likely to find “brujas” and women proudly wearing shirts that proclaim, “Somos Chingonas,” than swans and ballerinas in pink. That realization led Sanchez to move to Veracruz to study “zapateado,” a percussive dance that is most often performed on top of a wooden platform, as a way to feel closer to her Mexican heritage. She and friend Violeta Romero, created and developed a new style of dancing called “zap-a-tap,” that blends the traditional zapateado Veracruzano with tap-dancing. At once chest-pounding and graceful, the result is a syncopated dance that leaves the viewer in need of a second opportunity to catch it all, with rhythms complex enough to make many drummers afraid. Sanchez described how the show has evolved as time has gone on. The initial performance a seven-minute dance trio show in 2016, has grown to the 75-minute “Pachuquismo,” which now features a total cast of 10 musicians, singers and dancers. Maria Anaya, 35, has done multiple shows with Sanchez after meeting at a joint show that both their dance troupes participated in. “What makes this really special is having an all-female cast,” said Anaya. “The big picture is, that its strong women coming together. Anaya hopes to inspire others to explore their culture with “Pachuquismo.” She fought back emotion and tears as she described the vibrant Mexican and Chicano history that they are portraying. Sandy Vazquez is doing her first show with Sanchez, but the director has already left an impression on the 24-year-old dancer. Vasquez described the same problems Sanchez had fitting in with other dancers and highlighted the lack of representation in dancer circles. Thanks to Sanchez’ show, Vasquez has an outlet to dance the music of her culture. Alisa Guardiola, 26, has done three shows with Sanchez and landed her first gig with her by sending in an audition tape filmed from her family living room in Texas. Guardiola calls Sanchez “a mastermind,” and said she is constantly impressed by the amount of grace it takes on Sanchez’ part to blend zapateado and tap. Guardiola said the show gives her a closer connection to her ancestors. She shared that as the youngest of her family, she has missed much of her family’s history and the show affords her a chance to be closer to them as well as she continues to search for her own identity as a Chicana. She hopes the audience actively thinks about the piece of history that she, Sanchez and the other cast members are performing. Hard work has seen Sanchez’ exploration of her Chicano heritage develop from a three-person performance into its current form. She hopes to take the show on the road to cities like Los Angeles, Oakland, Fresno and San Jose. After seeing “Pachuquismo,” the audience will be expecting Sanchez to pull it off. “Pachuquismo” debuts on Saturday, Sept. 15 at 8 p.m. at Dance Mission Theater, 3316 24th St, San Francisco.